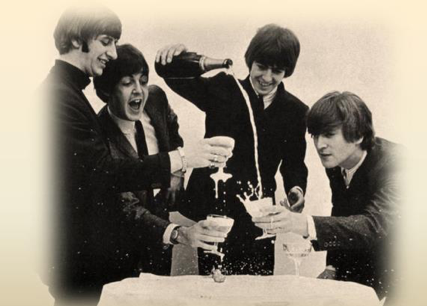 “Yesterday, all my troubles seemed so far away. Now it looks as though they're here to stay.” My non- millennial readers will recognize the lyrics to a Beatles song. It is with longing that I look back to 2017, a year in which asset prices of all sorts moved upward without any volatility to speak of. But that wasn’t normal and honestly, the troubles never seemed that far away. In contrast to last year, the first quarter of 2018 felt very turbulent, but really it is the “old normal.” Asset prices are supposed to fluctuate as investors weigh the uncertainty of the future against the potential for return. Assets with very little uncertainty are just not that attractive. An FDIC insured savings account proves the point. So what has changed? 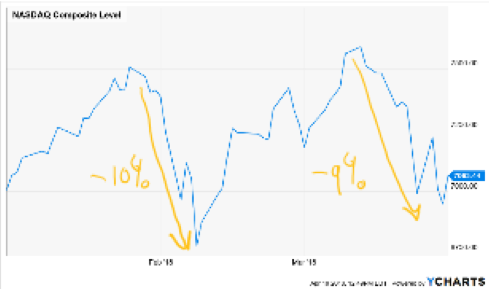 It’s hard to say what the last drop in the bucket was, but the specter of higher interest rates is probably one of the main culprits. Perhaps that primed the market to be more sensitive to bad headlines. The headlines haven’t gotten worse than 2017 – talk of nuclear conflict has got to be in the top 5 of worst possible headlines – it is just that they seem to matter more now. We got our first taste of turbulence in early February. The market quickly recovered, and it soon felt like much-a-do-about-nothing, though the volatility genie didn’t go back into the bottle and markets have been choppy ever since. The latest turbulence seems clearly driven by threats of a trade war. A completely unnecessary situation that I think will be avoided but there is always some potential for political miscalculations. Our trade deficit is not China’s fault. We buy more than we produce, because we don’t save enough and rely on other countries to fund our deficits and capital investments. If China gave us better trade terms, our trade imbalance would shift to other trading partners. It is a difficult issue to grasp and politically it might be a non-starter to share the blame if it can just as easily be deflected across the Pacific. Rather than bluffing with tariff threats we would have more success – and global support – if the focus was squarely on intellectual property protection and improved access to Chinese consumer markets. Alas, I have no say in the matter. Besides trade tariffs, the market is increasingly concerned about the looming showdown in DC with the Mueller investigation, a miscalculation in Syria, and troubles in the tech sector. Since I have little to add on the first two topics, I will focus on the latter. Based on the headlines you would readily conclude that the tech sector is under duress. However, the NASDAQ was slightly positive in the first quarter. A big up month in January, then a quick correction (-10%) in Feb, followed by a recovery, followed by another correction and another recovery. Clearly a risky proposition to time your tech exposure. I don’t know where it is going, but the shine does seem to have come off the big tech names. Facebook in particular made some interesting headlines. To summarize the Facebook story, Cambridge Analytica shared public profile data it had harvested through an app on Facebook, with the Trump campaign. Did it influence the election? Sure it did. There are many variables that influenced the election, some favorable to Trump, some unfavorable, so it is impossible, in my view, to attribute the outcome of the election to it. But more to the point, it seriously calls into question the trust we place in Facebook when it comes to our privacy. Consumers and investors alike were put in the position of having to reassess their loyalty to Mark Zuckerberg. Socially Responsible Investment (SRI) funds in particular, had to do some soul searching about their Facebook exposure. The reason many of these funds were heavily exposed to Facebook – and tech in general – is the fact that tech as a sector has fewer social and environmental issues as say the energy sector, industrials, extractive industries, or retail. It is understandable that the Facebook data dump would necessitate a reevaluation of the business model. 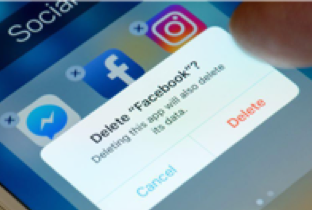 After all, if Facebook restricts in any shape or form the use of its data for ad targeting purposes, it will become somewhat less valuable to advertisers and, all things equal, a less valuable product commands a lower price. What is more surprising to me, is the reassessment of Facebook on a social dimension by SRI funds. The Cambridge Analytica story, while disturbing, reveals nothing new about Facebook. Even the most casual perusal of Facebook’s privacy policies would immediately expose the consumer protection and privacy issues. Might some SRI funds have willingly glanced over these issues as Facebook was deemed well within the pale? In a slightly new tack for the newsletter, I plan to highlight from time-to-time some specific investments that we own or are researching and that have the potential for positive impact in areas that our clients have expressed interest in. These areas include – but are not limited to – sustainable agriculture, financial inclusion, clean energy & tech, and education. Please note that these stories are meant to illustrate the types of impact investments we evaluate and do not constitute investment recommendations. At the surface, Valeo (FR.PA €54.48) does not seem like an impact investment. It is a large, industrial company headquartered in Paris, operating in 33 countries through 184 plants and 55 R&D centers. However, we believe Valeo will make an important contribution to cleaner air and has the potential to be a rewarding investment. Small diesel engines had been a key part of automakers’ strategy to meet the demands of consumers and regulators for improved efficiency and reduced emissions over the next 5-10 years. Then came the Volkswagen diesel scandal. It left automakers in a challenging position when it became clear that diesels weren’t such a simple (or clean) solution and consumer demand for diesel cars plummeted. While fully electric cars may be the ultimate answer, it is a longer run solution, requiring both electric infrastructure development and changes in vehicle production platforms. The 48v motor can provide a torque boost when needed to a now smaller engine, can more effectively operate a start/stop system, and can more efficiently engage in regenerative braking. Compared to a 12v battery, it has greater efficiency and can drive other high electric power components such as compressors, electric turbochargers, and power steering racks. The result is a 10- 20% improvement in efficiency and emissions, and, in some designs, an improvement in automobile performance. The cost? About $1000-$1200 per vehicle. Who is using 48v systems? In 2018, they were used in limited applications by Bentley and Porsche. In 2019, the system will be standard or optional equipment on all Dodge Ram 1500 trucks, some Chevy Silverado trucks, the VW Golf, Audi 7 and 8, some models of Renault and Peugeot, and no doubt others we haven’t identified yet. There are three major Tier 1 suppliers of the 48-volt systems: Valeo, Continental and Delphi. We are most excited about Valeo. Valeo has the largest market share of these systems with a share of about 40%. Continental has a smaller but still very significant share, but is such a large company, particularly with its tire division, that the success of its 48-volt systems will be diluted by the rest of Continental’s operations. At Valeo, sales and earnings growth have been strong and we have noticed robust growth of the order book. In the aggregate, the recent financials suggest growth rates 50% higher than industry peers for at least the next 3 years. 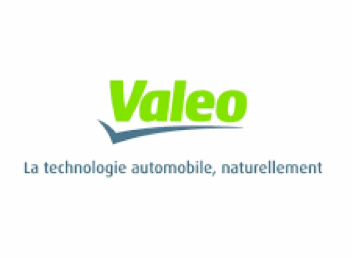 Environmental Impact is on Valeo’s front burner. The company’s growth strategy is focused on emissions reduction, intuitive driving (hands-on-wheel, automated driving) and emerging market expansion. More than 50% of Valeo’s sales are for products that contribute to reducing CO2 emissions. To us, that meets the bar of materiality; it’s not just an effort that exists for PR purposes. Valeo is not putting all its eggs in the 48-volt basket. The company has a joint venture with Siemens that is expected to make the company one of the leaders in electric car systems by 2021. Besides the attractive growth profile, Valeo is also quite profitable with an average return on equity of 30% in 2017, something we expect to stay flat over the next few years with a dividend payout rate of 30%-34% (so plenty room for dividend growth too). This is not your stereotypical Parisian cocktail – a largely misconceived term that describes a French company with a bloated balance sheet, a less-than- hardworking workforce, and insular management. On the contrary, what Valeo is mixing might be worth a taste.